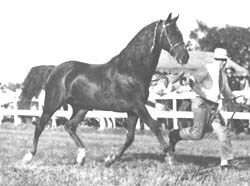 Another great Government sire, Mentor was also Granch Champion Stallion at the Nationals 3 times. He captured the Sire and Get Class 3 times as well. 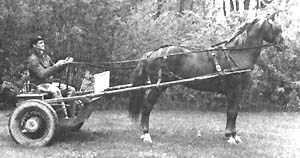 Mentor stood at the USDA Farm, and in Conneticut where he sired many horses with the University of Conneticut prefix. 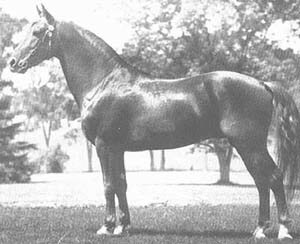 Mentor is the sire of Junefield, who produced Kingston and Dennisfield, 2-time AHSA Horse of the Year. 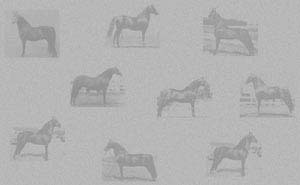 He also passed his quality through the well-known sons Tutor, U S Menmar, Fleetfield and Trophy.